When will be The Best of British Takeaways next episode air date? Is The Best of British Takeaways renewed or cancelled? Where to countdown The Best of British Takeaways air dates? Is The Best of British Takeaways worth watching? We are a nation in love with takeaways. We spend six billion pounds on them every year and have more places serving them up than anywhere else in Europe. 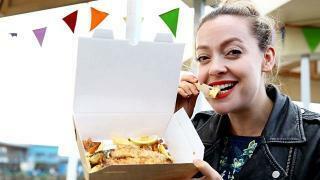 The Best of British Takeaways is celebrating our passion for them and the best of them.Fronted by Cherry Healey and Michelin-starred chef Tom Kerridge, each episode focuses on a different classic: fish and chips, Chinese and Indian. Cherry and Tom will look at the history behind them and three award-winning chefs will then take part in a contest to find out what makes the best British takeaway. In episode one, Michelin star Chef Tom Kerridge travels the country to find out what makes the best fish and chips and the trade secrets behind them, leading him to one of Britain's oldest fishing ports, Brixham Harbour. There, three of the Nation's top chippies are invited to take part in a contest: each is passionate about their own style of cooking but they all have very different ideas about what makes the best fish and chips. For one it's haddock and beef dripping, for another it's cod, and for the third it's a re-invention of the dish itself. It's down to Tom and his expert judge, fish restaurateur Mitch Tonks, to decide who makes the best takeaway on the day, while Cherry Healey discovers that the origins of our national dish aren't actually British at all. Episode two looks at our current favourite takeaway food - Chinese. Three of the nation's award-winning Chinese takeaways are invited to take part in a contest in the heart of London's China Town. Each is passionate about their own style of cooking, but they all have very different ideas about what makes the best Chinese dishes: for one it's the classic recipes we are familiar with here in the UK, handed down through three generations; for another it's a fusion of styles from across Asia; and for the third it's traditional Chinese home-cooking using exotic ingredients. Each believes their version of the takeaway is the best, but it's down to Tom and his expert judge, writer and chef Ching He-Huang, to decide a winner. This week, Michelin-starred chef Tom Kerridge travels the country to find out what makes the best Indian curry and uncovers the trade secrets behind our takeaways, while Cherry Healey explores the fascinating stories that helped shape our communities as well as our palates, and learns how Queen Victoria put curry on the British menu. Then three of the nation's award-winning Indian takeaway chefs are invited to compete in a contest in Bradford, the curry capital of Britain. Each is passionate about their own style of cooking, but they all have very different ideas about what makes the best Indian takeaway. For one, it is family recipes passed down through the generations, for another it is using the freshest ingredients grown on his own allotment and, for the third, it is taking inspiration from across India and adapting it for modern British tastes. 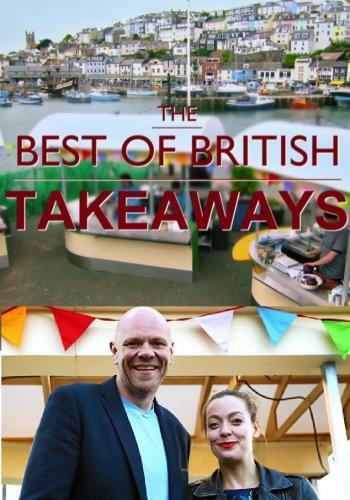 The Best of British Takeaways next episode air date provides TVMaze for you. EpisoDate.com is your TV show guide to Countdown The Best of British Takeaways Episode Air Dates and to stay in touch with The Best of British Takeaways next episode Air Date and your others favorite TV Shows. Add the shows you like to a "Watchlist" and let the site take it from there.